Designers in Vancouver, Canada now have their own community hub after the grand opening of Kabuni’s first design studio in the Canadian city on 9 June. The design studio is a 3000 square foot, multi-functional space that acts a community hub, shared workspace, gallery, event venue and home for Kabuni’s advanced design tools. The studio has been designed as a collaboration hub where designers can meet with clients to work through designs using Kabuni’s design technology and where local artists and artisans can share their work. Within the studio, Kabuni will hold a series of seminars, lectures and other events that encourage and develop the local design community. The focal point of the studio is Kabuni’s Dream Room, a virtual reality environment conceived specifically for interior design. 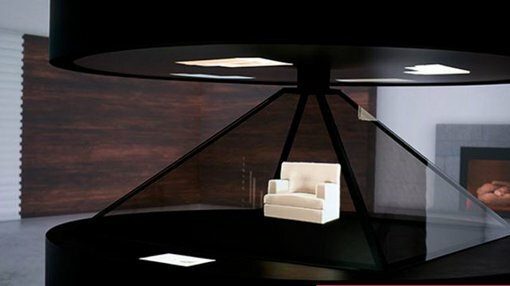 The Dream Room is a 480-square-foot holographic space that allows clients to work alongside a designer and visualise a complete design solution using a touchscreen to envision a unique selection of furnishings within a recreation of their home or workspace. Kabuni is expecting a big North American summer as it promotes its $10,000 Makeover contest. Clients entering the contest must have made a Kabuni purchase during the months of June and July. Once their purchase is made they will be entered into a draw to win $10,000 worth of home furnishings. Kabuni expects to connect 1000 clients to local designers through the contest.